Marketing & Sales Executives of Detroit (MSED) - "Concept. Acquisitions. Marketing: The Talmer Bank Story"
"Concept. Acquisitions. Marketing: The Talmer Bank Story"
Talmer Bank & Trust Chairman & CEO, David Provost, will share how purchasing troubled banks in 2010, in the middle of the worst recession in 50 years, enabled the organization to grow by nearly 8,000 percent - from a one-branch bank holding company in Troy with just $75 million in assets and 30 employees, to the fastest growing bank since 2009 with assets of just over $6 billion and 83 branch offices in four Michigan, Ohio, Illinois, Indiana and Nevada. Find out how the development of an implementable strategy to serve and support the local communities where they live and work, helped them to clearly focus their marketing efforts. Discover how the development of the bank’s name played a part in the overall business strategy. Learn the perils, pitfalls and rewards of starting a new business. Gain first-hand knowledge of the legal and business sides of acquisitions. This event is important to anyone who wants to learn about recognizing value and managing growth, as well as the importance of marketing to a community. David. T. Provost is Chairman and Chief Executive officer of Talmer Bank and Trust, and President and Chief Executive Officer of Talmer Bancorp, Inc.
Talmer Bancorp, Inc. (formerly First Michigan Bancorp) headquartered in Troy, Michigan, is the holding company for Talmer Bank and Trust and Talmer West Bank. Under Mr. Provost’s leadership, Talmer has completed eight acquisitions: CF Bancorp, Port Huron, MI; First Banking Center, Lake Geneva, WI; Peoples State Bank, Madison Heights, MI; Community Central Bank, Mt. Clemens, MI; Lake Shore Wisconsin Corporation; First Place Bank, Warren OH; Michigan Commerce Bank, Ann Arbor, MI; and First of Huron Corp., Bad Axe, MI. Talmer Bancorp is currently the third largest bank holding company headquartered in Michigan. The bank has assets of over $6 billion; it operates 83 branch offices and 8 lending offices located primarily in the Midwest. 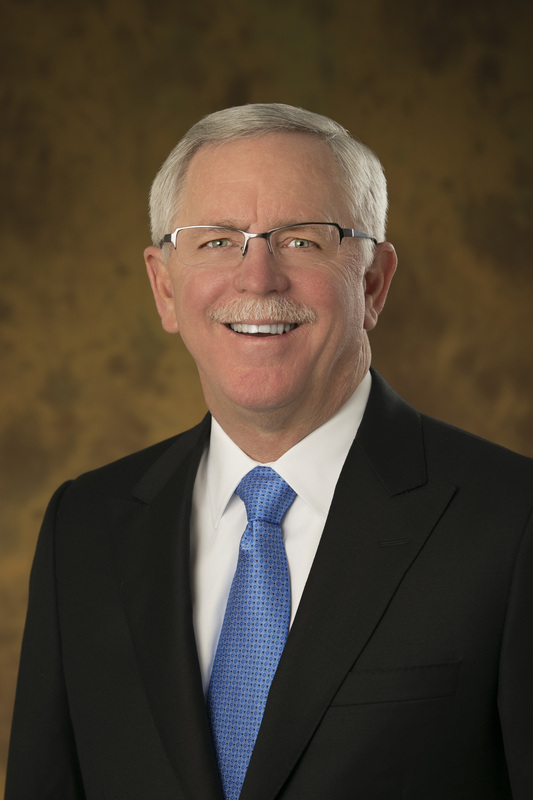 Prior to joining Talmer Bancorp in 2008, David served as Chairman and CEO of The PrivateBank (formerly Bloomfield Hills Bancorp), which he co-founded in 1989. He also served in various capacities at Manufacturers National Bank of Detroit, now known as Comerica Bank, for thirteen years. Mr. Provost serves on the Board of Directors and as Chairman of the Audit Committee for Plastipak Packaging, Inc., located in Plymouth, Michigan. As an active member of the community, he serves on the Board of Directors for The RESTORE Foundation, the Community Foundation of Southeastern Michigan, Eastern Michigan University College of Business, Presbyterian Villages of Michigan Foundation Advisory Board, Detroit Economic Club, and is a Past Chairman of the Board of Trustees of Alma College. Mr. Provost earned a Bachelor of Arts from Alma College, an MBA from Eastern Michigan University, and graduated from the University of Wisconsin School of Banking. He also received two honorary doctorates, a Doctor of Letters from Alma College, and a Doctor of Business from Eastern Michigan University. He is married with two children. MSED Event Cancellation Policy: Cancellations will be accepted until 5pm on Friday, June 5th. Cancellations received by this date will be refunded less a 10% administrative fee, with a minimum charge of $5. Refunds cannot be issued for cancellations received after this date; however, substitutions for another person to attend in your place are gladly accepted.